I have to say this book was not even on my radar but when I talked to the publicist about Harlan Coben’s new book she said she would send this book to me too. I am so glad she did! Hart Hanson was the creator of the television show Bones which I had never watched but if it is anything like this novel I see myself having a few Bones marathons sometime soon, it will take a lot of time to get through all the seasons. In The Driver , we meet Michael Skellig, a former Army Special Forces sergeant with some demons from his tours of duty. He owns a limo company that employs some vets and an Afghan interpreter who are fighting their own demons. The company has three limos, 1 with all the bells and whistles, 1 classic and 1 that is probably haunted. Celebrity skateboard mogul, Bismarck Avila, prefers to ride in style. Skellig parked outside a fancy hotel while his client Avila takes care of “business” suddenly “knows” his client is in trouble. He rushes through the hotel but is not in time to stop all of the bloodshed. He wakes up in the hospital accused of killing one of Avila’s bodyguards. Hanson has a unique writing style but I quickly found my way and became drawn right into Michael Skellig’s story. The characters are very diverse and the “family” Skellig has brought together is very genuine and the interactions between them run the gambit of hilarious to chilling and everything in between depending on the situations they were facing. Their struggles were real and their devotion to each other was clear. The plot is action packed, thrilling and suspenseful with twists galore. Dangerous situations valiantly described brought the drama to life. I can easily see this book made into a movie. The story had me on the edge of my seat. I am not sure if this book will become part of a series, these characters went through so much in this one. He is definitely an author I want to see more from. Hart Hanson wrote for Canadian television before moving to Los Angeles, where he worked on various TV programs before creating the series Bones , the longest-running scripted hour-long series on the FOX network. 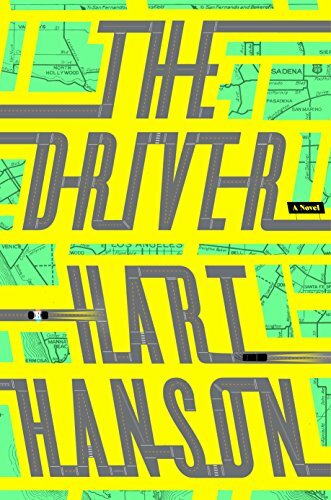 The Driver is his first novel. Hart joins Signature to share his experiences in becoming a novelist after working in TV. VERY intriguing! I’m adding this to my Want-to-read list! Nice to have the usual male police/female MC turned around for once, eh? Sounds like a great read! I loved Bones so I am looking forward to reading this book. Thanks for the opportunity to win a copy!